Extend your delivery area and increase your profits by upfitting virtually any vehicle with the Vehicle Insert Series by Delivery Concepts. 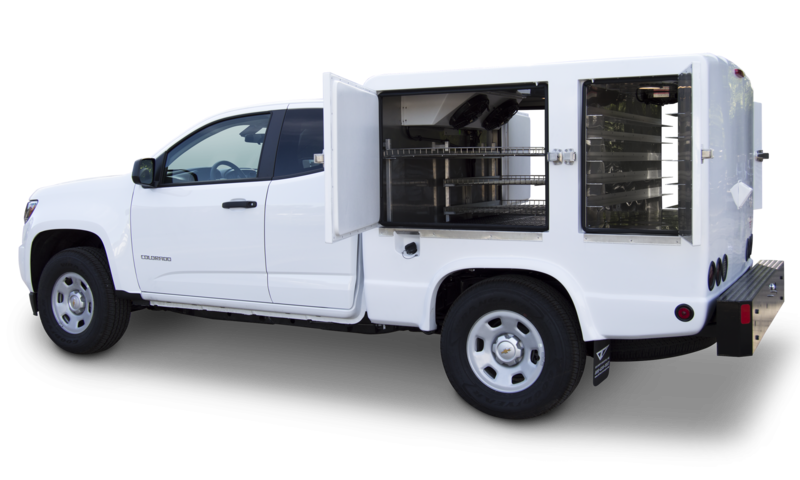 With frozen, refrigerated, heated and multi-temperature configurations, the Vehicle Insert Series by Delivery Concepts is a cost-effective solution for efficient transport of perishable cargo. Seamless construction, void-free insulation, and convection heating technology ensure consistent temperature without the use of dangerous propane gas or open flame. Vehicle inserts are compatible with virtually any chassis, and can even be used in combination with Insulated Vehicle Conversions (IVCs) to add an interior holding oven to a refrigerated vehicle. All inserts meet local and state Board of Health temperature requirements.